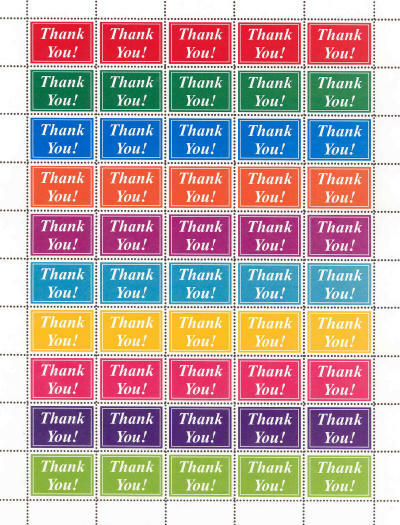 Send your thank you message on any card, letter, or package with these colorful, decorative stamps. pinhole perforated for easy separation. TIP: Keep some in your wallet or purse to use when you're away from home. 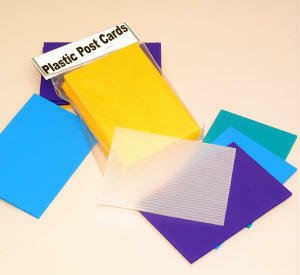 50 stamps per 8-1/2" x 11" sheet. Order plenty for use on ALL your outbound correspondence. 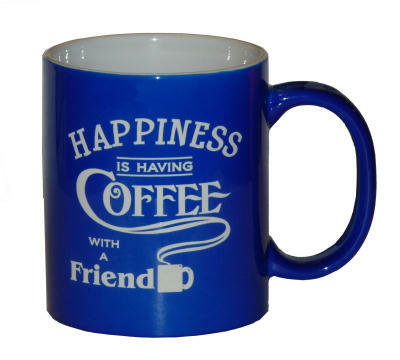 This product was added to our catalog on Wednesday 03 November, 2004.